This shrink tube kit provides a large assortment of various shrink tube types and sizes. Inside this 176 piece kit is 22 different tubing in multiple solid and translucent colors. The kit allows good inventory when working on various different jobs. 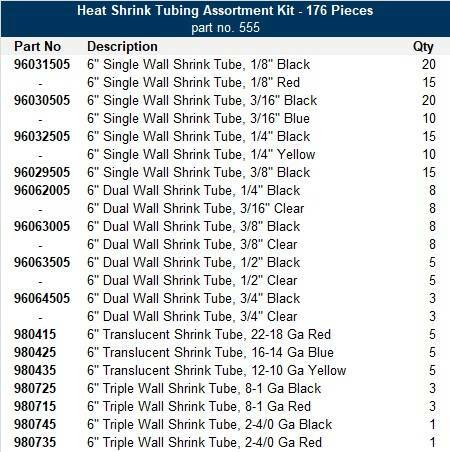 Combination kit of various types of Del City's Polyolefin heat shrink tubing in a 22 items, 176 piece all-in-one kit.